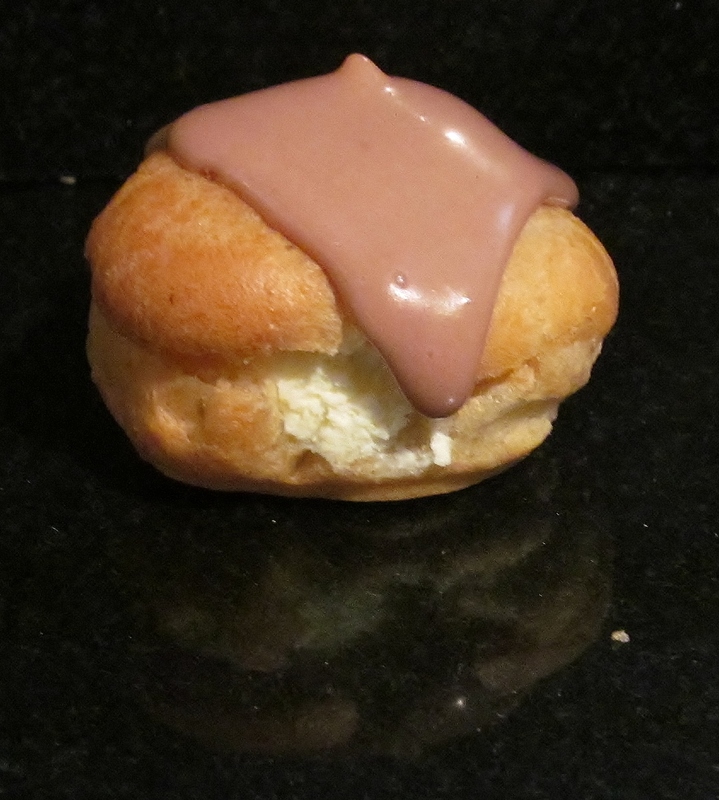 Choux pastry was the order of the day this weekend and as both Mary Berry‘s eclairs and profiteroles are made form the same pastry method, I decided to make both…or I will never get to the end of this challenge! I read Mary’s baking bible carefully and got out a medium size saucepan, and weighed out the butter and measured the water and put the pan on a low heat. 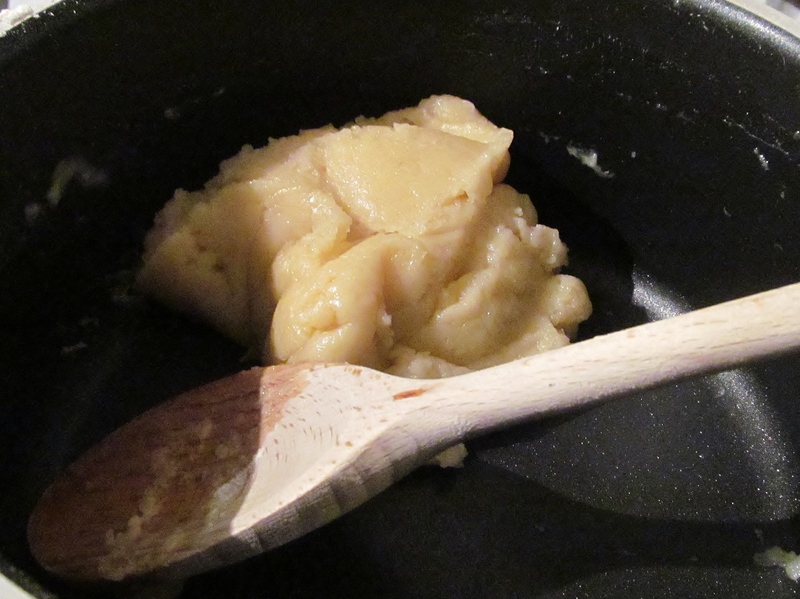 Once the butter had melted and the mix was beginning to boil, I added the flour and mixed it together until it formed a dough ball that came away from the sides of the pan. 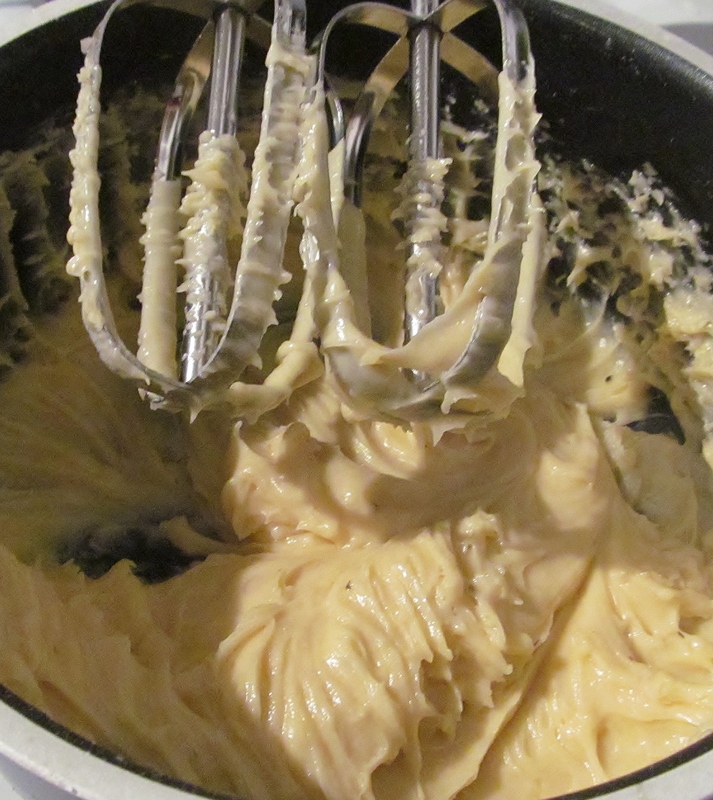 Mary tells you to allow it to cool a little before adding the 2 large eggs and then mix it together to form “a smooth shiny paste” and I used my electric mixer for this. Then the fun part, trying to put this lovely mix into a piping bag without making a mess- I failed dismally at this part…but what’s a little mess when you are cooking? 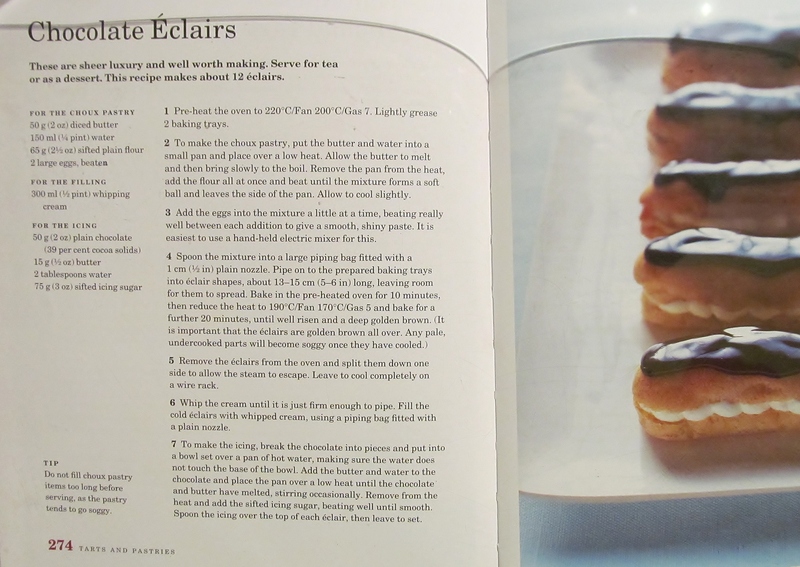 Mary recommends using a 1cm piping nozzle, I didn’t have one of these, so used the largest plain nozzle I had, the eclairs kind of resembled caterpillars!! 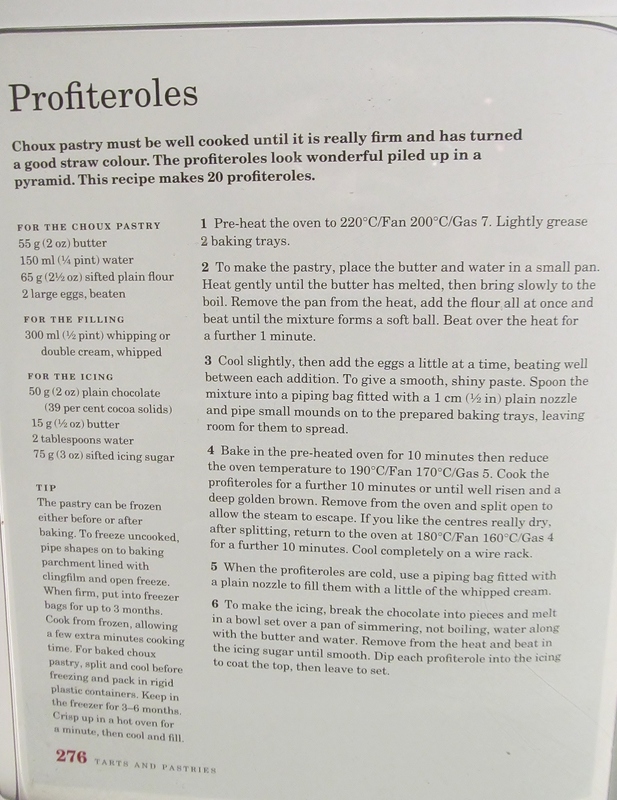 Anyhow, I piped some eclairs and some balls for the profiteroles and then into the oven they went, on a higher temperature for part of the bake and then a lower temperature for the rest of it.I took the goodies out of the oven and cut them to allow the steam out. Then while they were cooling I whipped the cream and made the chocolate icing topping. Although Mary uses dark chocolate for this, I don’t like dark chocolate very much so this is where I decided to put my own twist on it- with GALAXY chocolate! It looks much lighter than the traditional topping but it was very yummy! 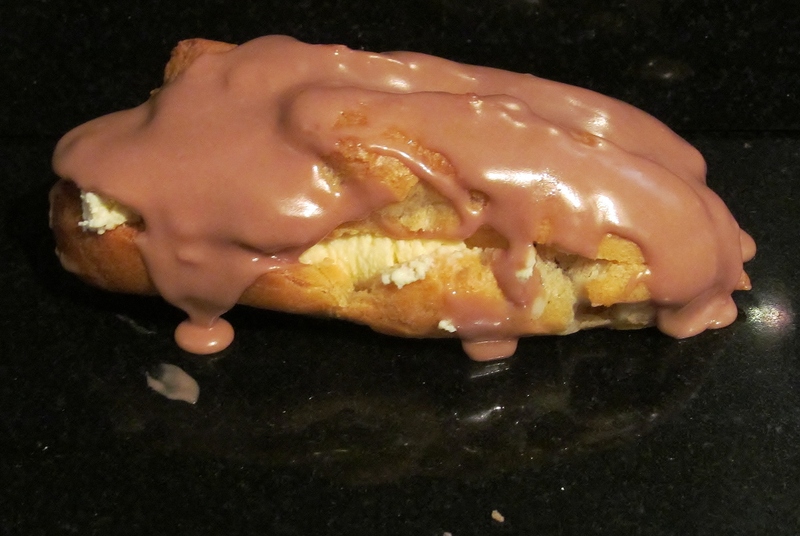 This entry was posted in Kim's cake challenge and tagged Butter, chocolate eclairs, Choux pastry, Cookware and bakeware, galaxy, galaxy chocolate, kims cake challenge, Mary, Mary Berry, Mary Berry's chocolate eclairs, Pastry, Pastry bag, Profiterole by kimsideas. Bookmark the permalink.